Alkaline heating elements made out of chrome nickel steel tube. Used for most alkaline cleaning solutions normally corrosive to mild-steel. 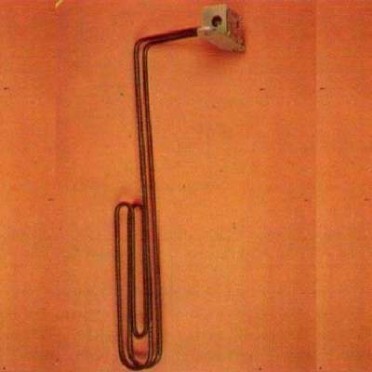 Chemical heater made out of titanium tube. Offers excellent corrosion resistant properties for most plating solutions. Can also be used for solutions containing citric, phosphoric and chronic acids.